While the Icelandic national church is evangelistic protestant, a vast majority of polish immigrants are Catholics. 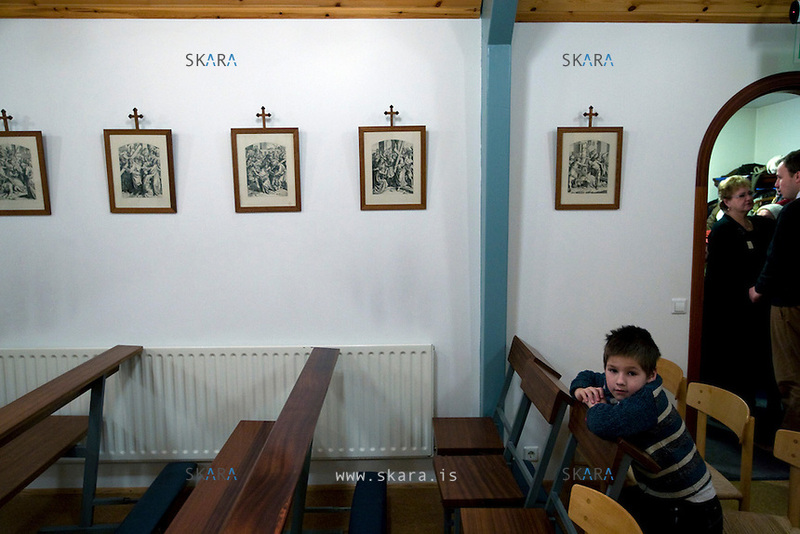 Every Sunday, the pious family fulfills its spiritual needs in a small catholic church in Ísafjörður, the hub town of the western fjords. This is in stark contrast to the indigenous religious culture, as most Icelanders rarely go to church except for weddings, funerals, confirmations and Christmas.